From Galileo and Newton to Thomas Hobbes and Martin Luther King, Jr., thinkers throughout history have consciously employed scientific techniques to better understand the non-physical world. 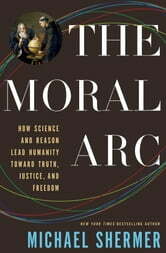 The Age of Reason and the Enlightenment led theorists to apply scientific reasoning to the non-scientific disciplines of politics, economics, and moral philosophy. Instead of relying on the woodcuts of dissected bodies in old medical texts, physicians opened bodies themselves to see what was there; instead of divining truth through the authority of an ancient holy book or philosophical treatise, people began to explore the book of nature for themselves through travel and exploration; instead of the supernatural belief in the divine right of kings, people employed a natural belief in the right of democracy. 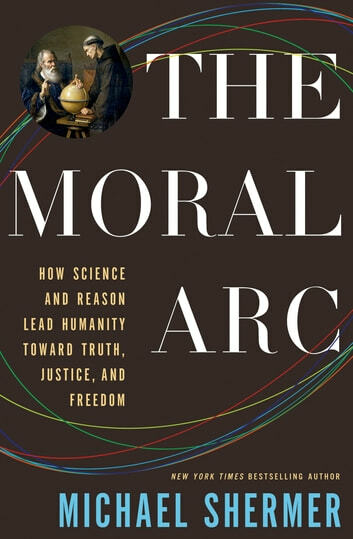 In The Moral Arc, Shermer will explain how abstract reasoning, rationality, empiricism, skepticism--scientific ways of thinking--have profoundly changed the way we perceive morality and, indeed, move us ever closer to a more just world. Imprint: Henry Holt and Co.